When I was attending Michigan Asian Pacific American Affairs Commission meeting as a commissioner last week, I thought I was the luckiest person in the world. It is beyond my wildest dream that one day I would be having lunch at the Governor’s residence in Lansing with fellow commissioners, government officials, and APA business leaders when I immigrated to the United States with my family in high school. Looking back, it has been an incredible journey since the day Jimmy told Eric and me that he wanted to start a software development company twenty years ago. I was very fortunate to participate in the very first planning meeting in Jimmy’s basement and grow up with Logic. In June this year, Logic will mark its 20th birthday. Since I know the marketing department will have a remote chance to ask me to say something about this milestone, I would like to take the opportunity to share my thoughts on this remarkable accomplishment. Applied Fitness Solutions in Ann Arbor, MI, is dedicated to the enhancement of physical fitness, athletic performance, health, and wellness. With more than 2,000 clients, over a dozen fitness instructors, and a second location opening up in Plymouth, MI, Applied Fitness realized that their successful business was expanding faster than their desktop-based member management system could handle. Applied Fitness approached Logic for a technical solution that would manage their existing client database and serve as a platform for their fitness practitioners (trainers) and clients to interact through. It is web-based to allow for greater accessibility for both the Applied Fitness staff at both facilities, and for their personnel and clients. Read more about how their new Client Management System reduced the time their trainers spent on client management tasks by 15-20%, thereby allowing them to provide a higher level of service and manage more clients! Congratulations, Applied Fitness, on your success and your new location! 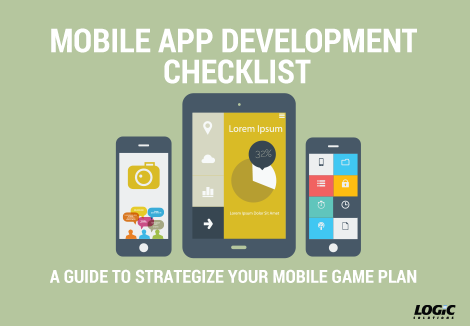 Checklists for eCommerce and Mobile App Development! 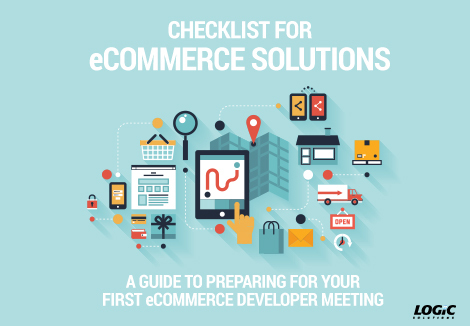 Our downloadable resources have grown to be super popular so we thought we would highlight our two favorites: the all-new eCommerce Solution Checklist and the ever popular Mobile App Development Checklist. If you haven’t seen them before, download one today! At its “Spring Forward” event on March 9, Apple showed off the much-anticipated Apple Watch and unveiled three exciting new products – Apple’s ResearchKit, the new MacBook, and HBO Now on Apple TV. There is a lot to be excited about. For consumers, this means access to slimmer gadgets and new devices. For developers, this marks the arrival of new technology, devices, and platforms to develop for. Here is a rundown of the big announcements.